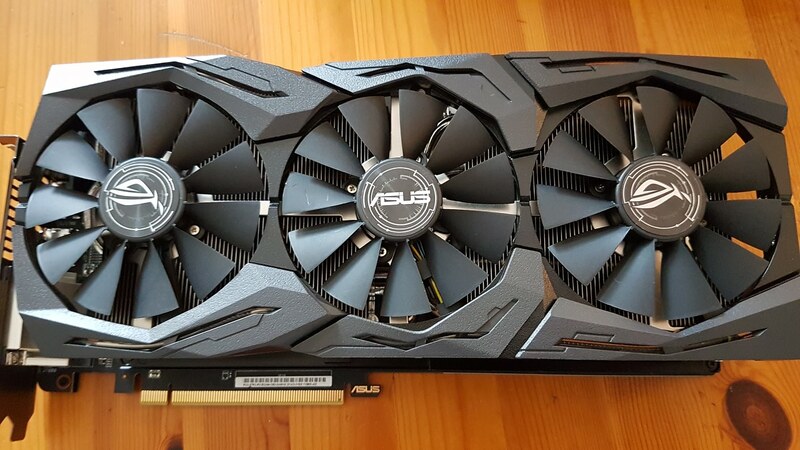 Discussion in 'Graphics Cards' started by Boomstick777, Sep 12, 2018. Temps for me weren't too bad to start with, but thought I would try this, to see if it really does improve VRM temps. So the idea is that the thermal pad that comes from factory, makes poor contact with the VRM. Placed a bit off center and at only 2mm not making much transfer. Going to throw on the 3.0mm version which is also wider and will make better contact. Make sure to peel off both sides of the clear tape on the thermal pad, when your ready to put it back together ..
Valley bench/loop, VRM temps have definitely dropped, even GPU core. 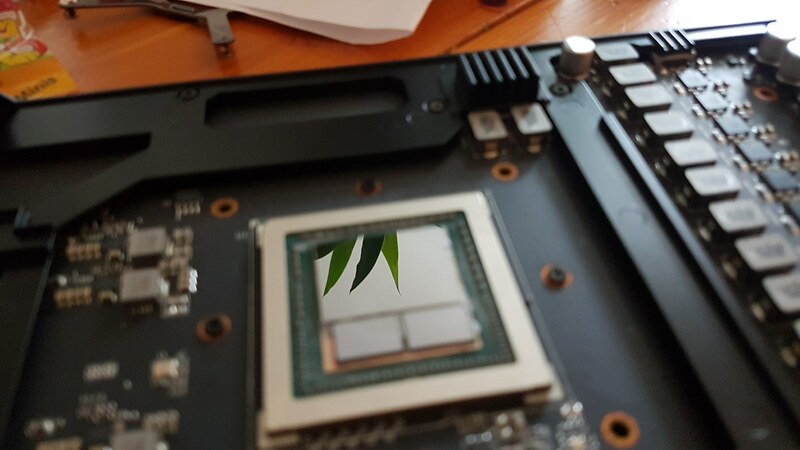 This could be down to different thermal paste I used though. If you have 5 minutes to spare not a bad way to drop your temps ! Only takes 5 minutes? Was expecting it to take longer and to be a little more complex than that. 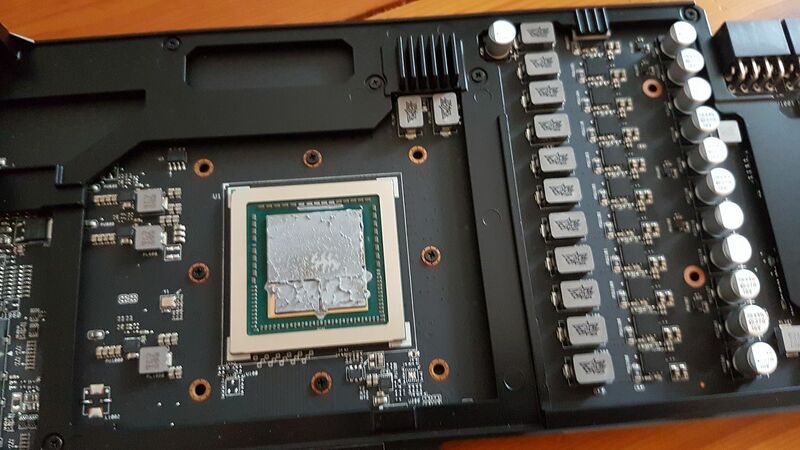 Shouldn't take much time for someone who is familiar with removing GPU coolers etc. Looks like it's definitely worth the time investment. 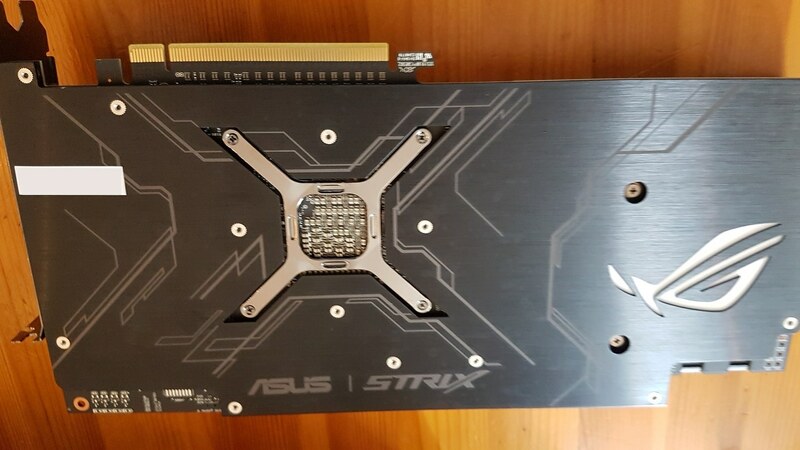 I haven't really kept up to date with the Vega stuff - have there been issues with VRM temps on the Strix? Tbf my temps weren't too bad, but this seems a fair bit better for such a simple fix. 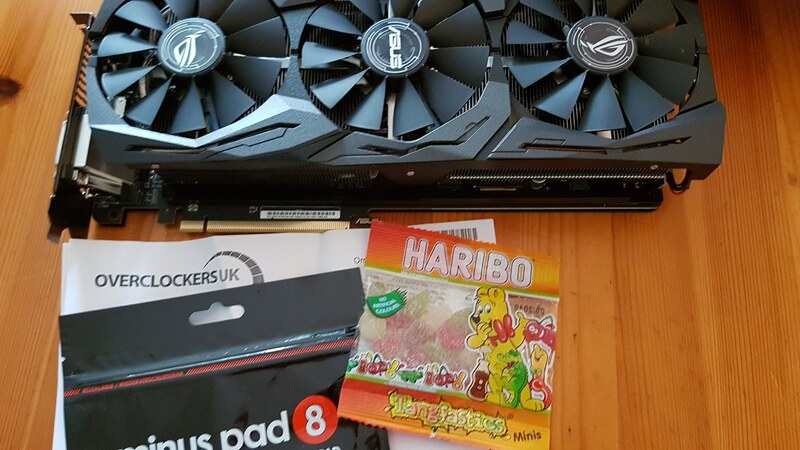 Bit poor on Asus' part - I would be expecting perfection when shelling out for their top tier card. It demands a hefty price increase over standard stuff. They've done that a few times in the past, took a design for one card and basically slapped it on another card with barely any testing done to it. He's talking about core/HBM temps. The law has changed I think? They can't deny warranty based on removal of a sticker anymore. Would have to proof consumer damaged item over failure. Sticker is sort of irrelevant now. Same goes for PS4 / Xbox stickers etc. If it's different in UK, maybe someone can clarify. 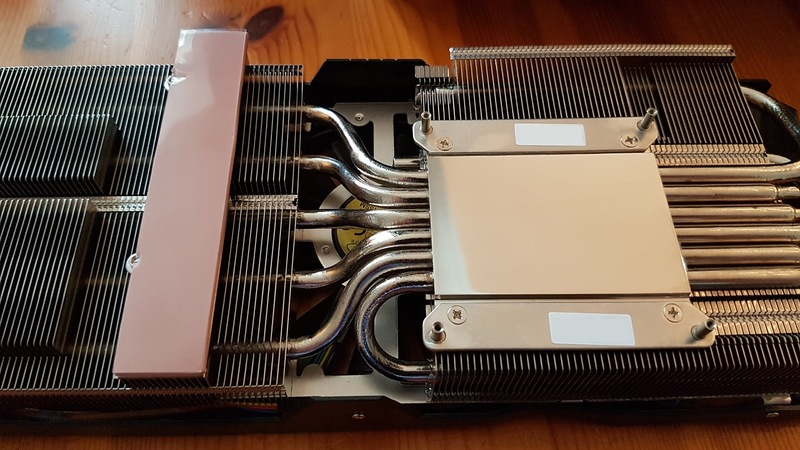 The DCUII 290x is a good example, the cooler had 5 heatsink pipes that were meant to make contact with the gpu but only three touch it and two of those were only partial. It's safer going with an AMD only brand. Asus, MSI & Gigabyte all cut corners with their AMD coolers. 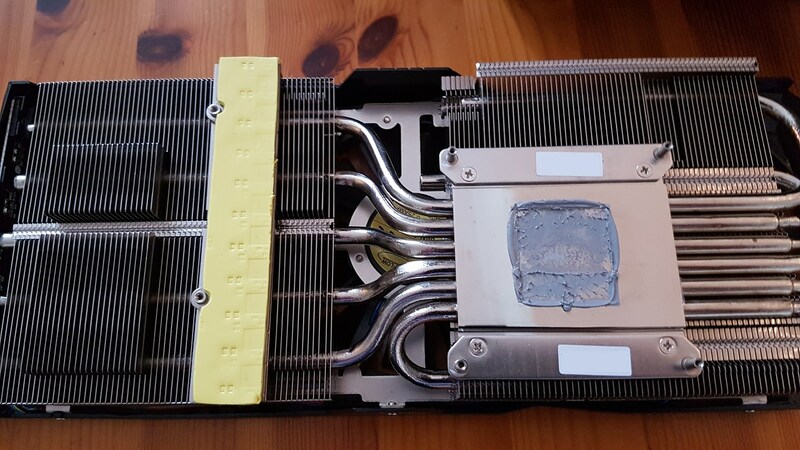 The DCUII 290x is a good example the cooler had 5 heatsinks to make contact with the gpu but only three tooch it and two of those were only partial. It'd always best to go with an AMD only brand. I remember they said something like they were "auxiliary" heatpipes and it was meant to be that way. Seems legit. 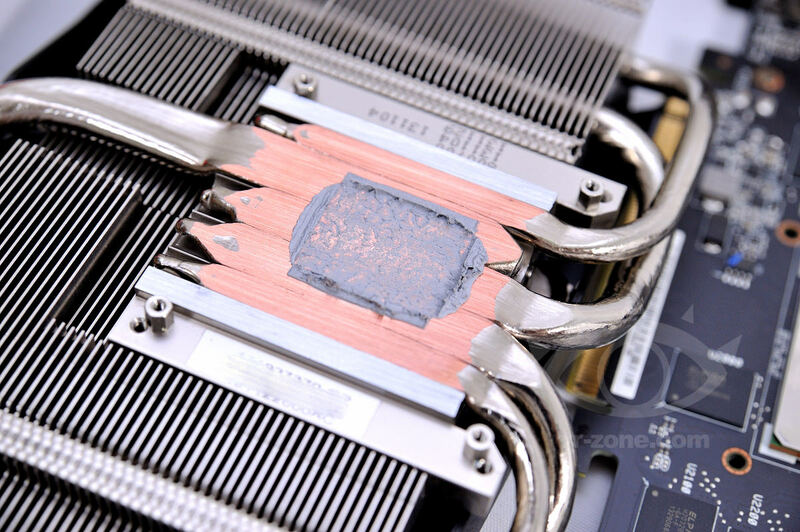 Which heats up the area, warming up the Vega chip. 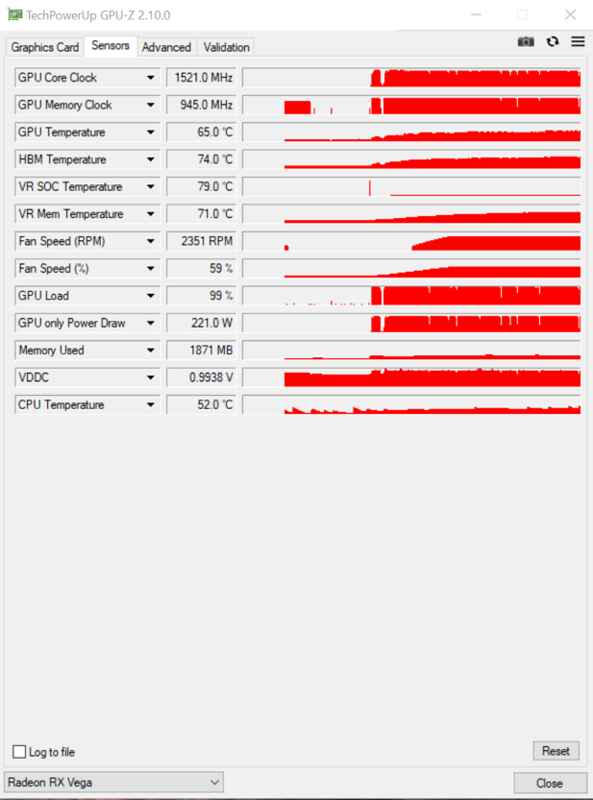 If AMD had a GDDR5X version of the card, I bet 2000Mhz could have being possible if not of the amount of power the HBM is consuming (1.356v), and the heat is generating in that tiny area 1mm away from the GPU. And given how stronger the Vega 64 IPC is (in games) compared to Pascal, it could be laughing at the 1080Ti easily. Is the only TIM I had on hand, Arctic silver.